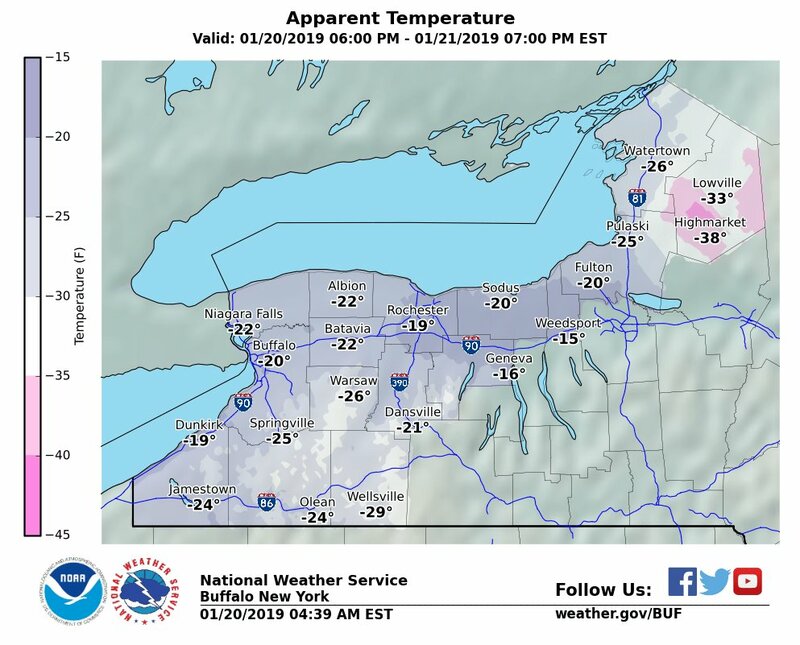 Heavy snow, gusty winds, polar air — that’s upstate New York winter and it arrived with a vengeance Saturday, with wind chills plummeting and anywhere from 12 to 24 inches of snow expected to be dumped throughout the area by Monday. As always, health officials urge people to dress for bone-chilling temperatures to avoid frostbite, come inside for frequent warming breaks, and don’t overdue shoveling and other strenuous activity that comes with clearing sidewalks, uncovering vehicles and any number of not-so-routine exercise that comes with snow storms. Sunday is expected to see gusty winds and arctic air with significant blowing and drifting snow. Wind chills could drop well below zero. Heading out? Even if you don’t plan to be out long, wear a warm, preferably wind-resistant coat or jacket with inner layers of light, warm clothing; mittens, hat, scarves and waterproof boots are a must. So is sticking your cell phone in a pocket, a smart move in case you need help. Caught empty-handed on ice melter? Sprinkling cat litter or sand on icy patches will do the trick.